My exploration into the Dão region continued. 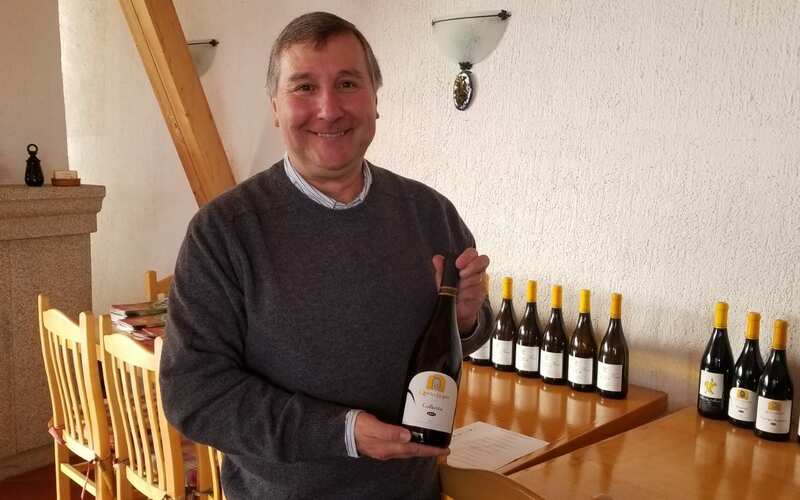 First it was about visiting a new wine region, then it was about the terroir and now I share the story of Luis Lourenço of Quinta dos Roques and Quinta das Maias who was one of the pioneers in the region to make single varietal wines. My story about the evolution from field blends to single varietal wines first ran in the Napa Valley Register and you can read it below here. Field blends were once common in the Old World. Families would plant more than one variety in the vineyard and did not really care about varieties or clones. Instead of considering the unique characteristics of each grape, the grapes were all treated the same way. Red and white grapes were interplanted. All grapes were harvested at the same time and fermented together. The winemaker had no influence on the final wine blend. And, more than likely, while all the grapes were indigenous, the winemakers most likely did not know what grape varieties they had planted.